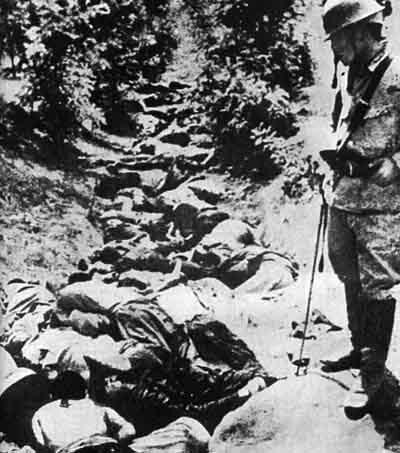 Japanese war crimes occurred in many Asian and Pacific countries during the period of Japanese imperialism, primarily during the Second Sino-Japanese War and World War II. 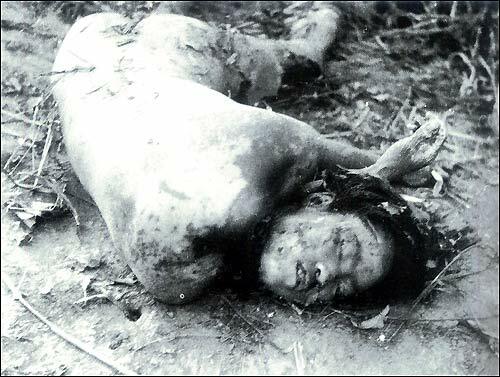 These incidents have also been described as an Asian Holocaust and Japanese war atrocities. R. J. Rummel, a professor of political science at the University of Hawaii, estimates that between 1937 and 1945, the Japanese military murdered from nearly 3 to over 10 million people, most likely 6 million Chinese, Koreans, Malaysians, Indonesians, Filipinos and Indochinese, among others, including Western prisoners of war. 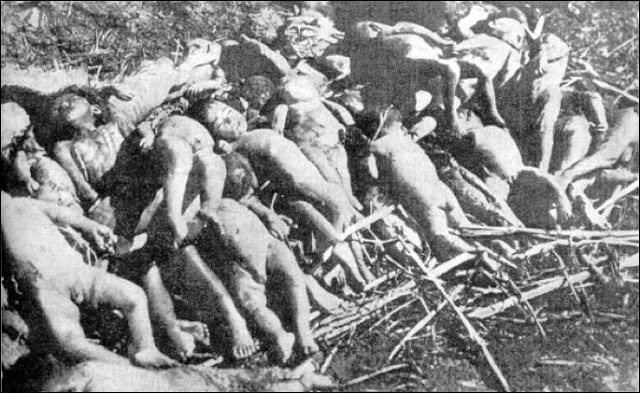 According to Rummel, in China alone, during 1937–45, approximately 3.9 million Chinese were killed, mostly civilians, as a direct result of the Japanese operations and 10.2 million in the course of the war. 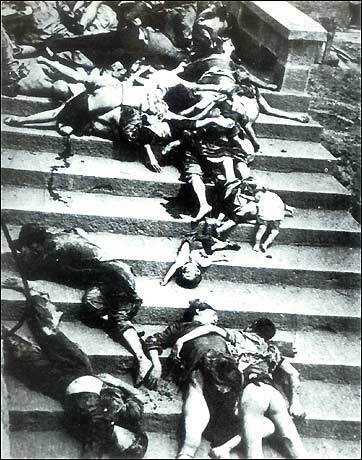 The most infamous incident during this period was the Nanking Massacre of 1937–38, when, according to the findings of the International Military Tribunal for the Far East, the Japanese Army massacred as many as 300,000 civilians and prisoners of war, although the accepted figure is somewhere in the hundreds of thousands. 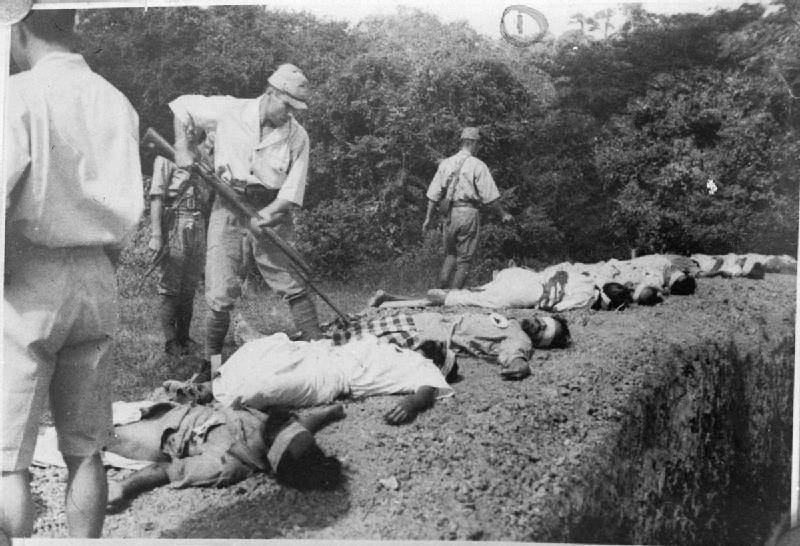 In Southeast Asia, the Manila massacre of February 1945 resulted in the death of 100,000 civilians in the Philippines. 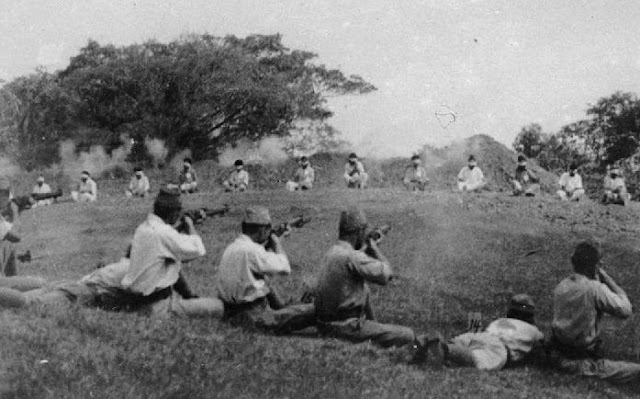 It is estimated that at least one out of every 20 Filipinos died at the hands of the Japanese during the occupation. In Singapore during February and March 1942, the Sook Ching massacre was a systematic extermination of perceived hostile elements among the Chinese population there. Lee Kuan Yew, the ex-Prime Minister of Singapore, said during an interview with National Geographic that there were between 50,000 and 90,000 casualties,while according to Major General Kawamura Saburo, there were 5,000 casualties in total. War crimes have been defined by the Tokyo Charter as “violations of the laws or customs of war,” which includes crimes against enemy combatants and enemy non-combatants. Military personnel from the Empire of Japan have been accused or convicted of committing many such acts during the period of Japanese imperialism from the late 19th to mid-20th centuries. They have been accused of conducting a series of human rights abuses against civilians and prisoners of war throughout East Asia and the western Pacific region. These events reached their height during the Second Sino-Japanese War of 1937–45 and the Asian and Pacific campaigns of World War II (1941–45). 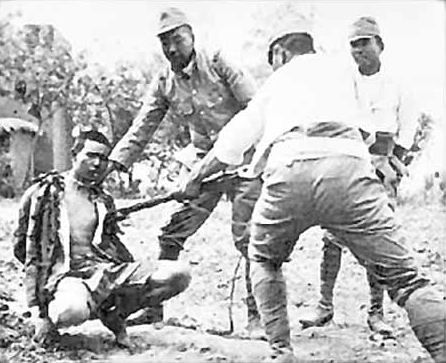 In addition to Japanese civil and military personnel, Koreans and Taiwanese who were forced to serve in the military of the Empire of Japan were also found to have committed war crimes as part of the Japanese Imperial Army. Japan did not sign the 1929 Geneva Convention on the Prisoners of War (except the 1929 Geneva Convention on the Sick and Wounded), though in 1942, it did promise to abide by its terms. The crimes committed also fall under other aspects of international and Japanese law. For example, many of the crimes committed by Japanese personnel during World War II broke Japanese military law, and were subject to court martial, as required by that law. The Empire also violated international agreements signed by Japan, including provisions of the Hague Conventions (1899 and 1907) such as protections for prisoners of war and a ban on the use of chemical weapons, the 1930 Forced Labour Convention which prohibited forced labor, the 1921 International Convention for the Suppression of the Traffic in Women and Children which prohibited human trafficking, and other agreements. The Japanese government also signed the Kellogg-Briand Pact (1929), thereby rendering its actions in 1937–45 liable to charges of crimes against peace, a charge that was introduced at the Tokyo Trials to prosecute “Class A” war criminals. “Class B” war criminals were those found guilty of war crimes per se, and “Class C” war criminals were those guilty of crimes against humanity. Two Japanese officers, Toshiaki Mukai and Tsuyoshi Noda competing to see who could kill (with a sword) one hundred people first. 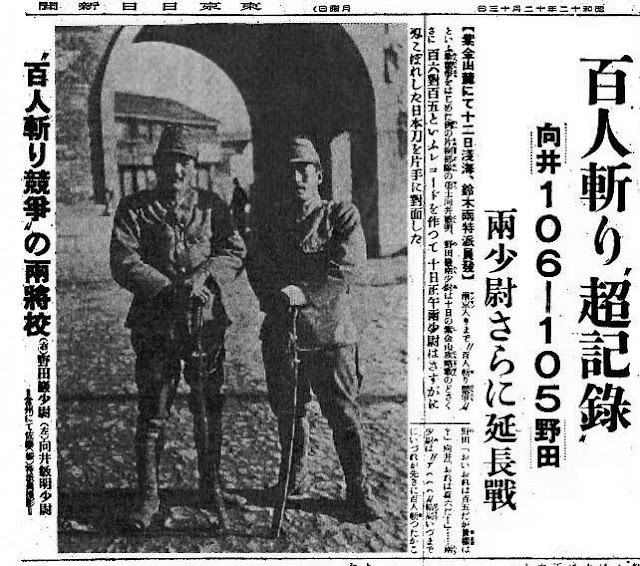 The bold headline reads, “‘Incredible Record’ (in the Contest to Decapitate 100 People)—Mukai 106 – 105 Noda—Both 2nd Lieutenants Go Into Extra Innings”. 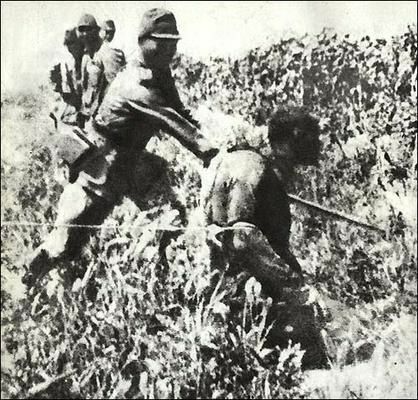 Special Japanese military units conducted experiments on civilians and POWs in China. One of the most infamous was Unit 731 under Shirō Ishii. 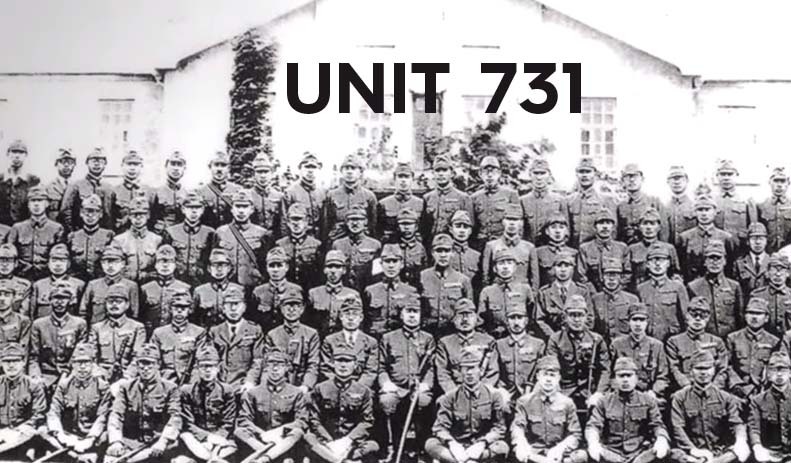 Unit 731 was established by order of Hirohito himself. Victims were subjected to experiments including but not limited to vivisection and amputations without anesthesia and testing of biological weapons. Anesthesia was not used because it was believed that anesthetics would adversely affect the results of the experiments. To determine the treatment of frostbite, prisoners were taken outside in freezing weather and left with exposed arms, periodically drenched with water until frozen solid. The arm was later amputated; the doctor would repeat the process on the victim’s upper arm to the shoulder. After both arms were gone, the doctors moved on to the legs until only a head and torso remained. The victim was then used for plague and pathogens experiments. 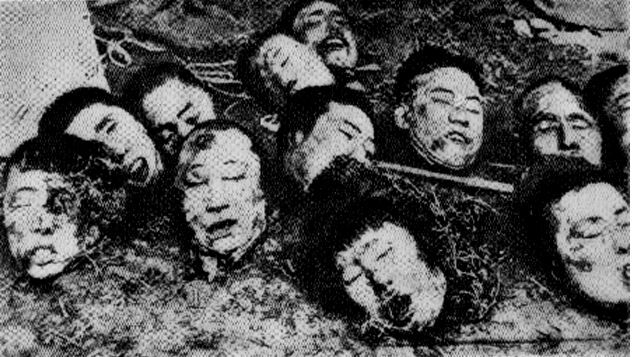 According to one estimate, the experiments carried out by Unit 731 alone caused 3,000 deaths. Furthermore, according to the 2002 International Symposium on the Crimes of Bacteriological Warfare, the number of people killed by the Imperial Japanese Army germ warfare and human experiments is around 580,000. According to other sources, “tens of thousands, and perhaps as many as 400,000, Chinese died of bubonic plague, cholera, anthrax and other diseases …”, resulting from the use of biological warfare. 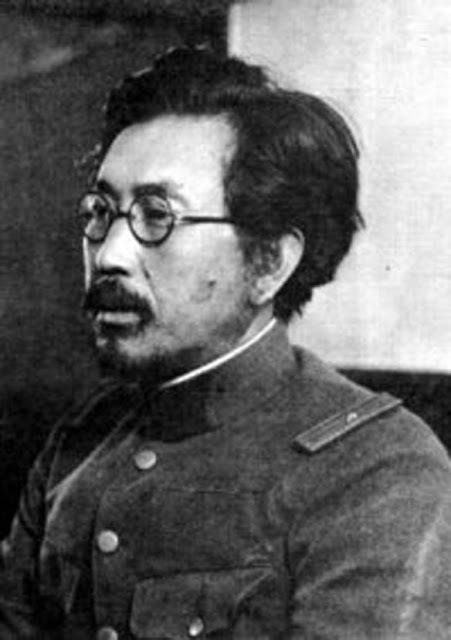 Top officers of Unit 731 were not prosecuted for war crimes after the war, in exchange for turning over the results of their research to the Allies. They were also reportedly given responsible positions in Japan’s pharmaceutical industry, medical schools and health ministry. One case of human experimentation occurred in Japan itself. 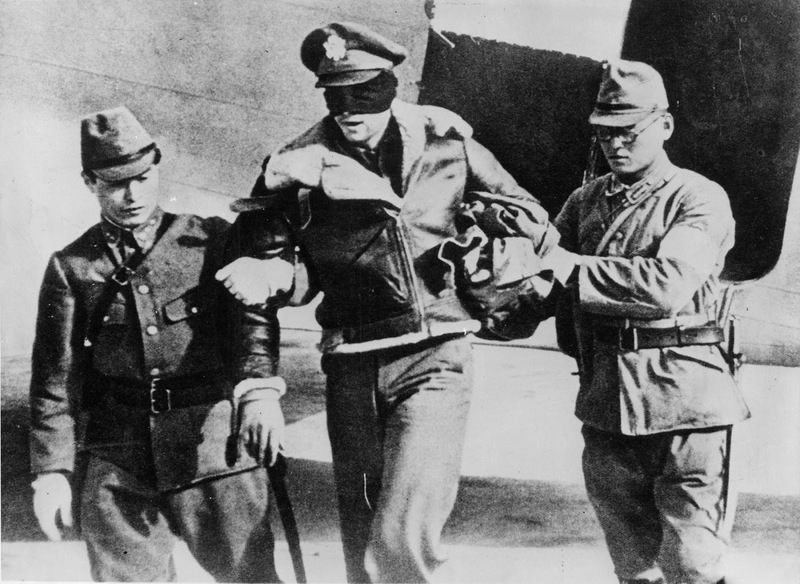 The bomber’s commander was separated from his crew and sent to Tokyo for interrogation, while the other survivors were taken to the anatomy department of Kyushu University, at Fukuoka, where they were subjected to vivisection or killed. During the final months of World War II, Japan had planned to use plague as a biological weapon against U.S. civilians in San Diego, California, during Operation Cherry Blossoms at Night, hoping that the plague would spread as much terror to the American population and thereby dissuading America from attacking Japan. The plan was set to launch at night on September 22, 1945, but Japan surrendered five weeks earlier. On March 11, 1948, 30 people, including several doctors and one female nurse, were brought to trial by the Allied war crimes tribunal. Charges of cannibalism were dropped, but 23 people were found guilty of vivisection or wrongful removal of body parts. Five were sentenced to death, four to life imprisonment, and the rest to shorter terms. In 1950, the military governor of Japan, General Douglas MacArthur, commuted all of the death sentences and significantly reduced most of the prison terms. All of those convicted in relation to the university vivisection were free after 1958.In addition, many participants who were responsible for these vivisections were never charged by the Americans or their allies in exchange for the information on the experiments. In 2006, former IJN medical officer Akira Makino stated that he was ordered —as part of his training— to carry out vivisection on about 30 civilian prisoners in the Philippines between December 1944 and February 1945. The surgery included amputations. According to historians Yoshiaki Yoshimi and Kentaro Awaya, during the Second Sino-Japanese War, gas weapons, such as tear gas, were used only sporadically in 1937, but in early 1938 the Imperial Japanese Army began full-scale use of phosgene, chlorine, Lewisite and nausea gas (red), and from mid-1939, mustard gas (yellow) was used against both Kuomintang and Communist Chinese troops. According to Yoshimi and Seiya Matsuno, Emperor Hirohito signed orders specifying the use of chemical weapons in China. For example, during the Battle of Wuhan from August to October 1938, the Emperor authorized the use of toxic gas on 375 separate occasions. 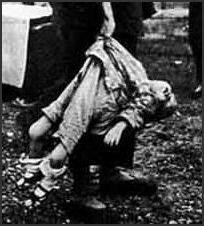 A resolution adopted by the League of Nations on 14 May condemned the use of poison gas by Japan. Another example is the Battle of Yichang in October 1941, during which the 19th Artillery Regiment helped the 13th Brigade of the IJA 11th Army by launching 1,000 yellow gas shells and 1,500 red gas shells at the Chinese forces. The area was crowded with Chinese civilians unable to evacuate. Some 3,000 Chinese soldiers were in the area and 1,600 were affected. The Japanese report stated that “the effect of gas seems considerable”. 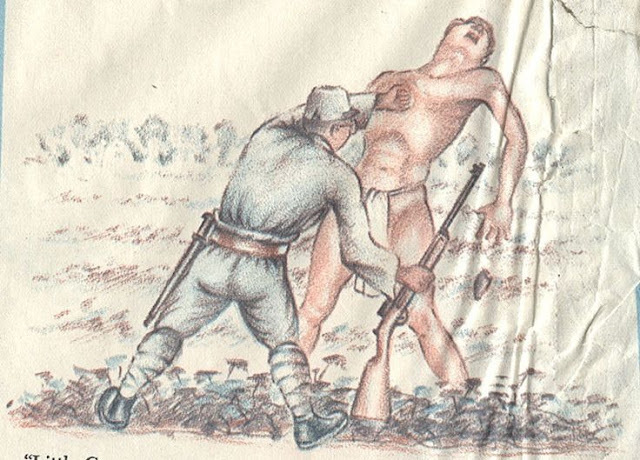 Japanese imperial forces employed widespread use of torture on prisoners, usually in an effort to gather military intelligence quickly. The major means of getting intelligence was to extract information by interrogating prisoners. Torture was an unavoidable necessity. Murdering and burying them follows naturally. You do it so you won’t be found out. I believed and acted this way because I was convinced of what I was doing. We carried out our duty as instructed by our masters. We did it for the sake of our country. From our filial obligation to our ancestors. On the battlefield, we never really considered the Chinese humans. When you’re winning, the losers look really miserable. We concluded that the Yamato race [i.e., Japanese] was superior. 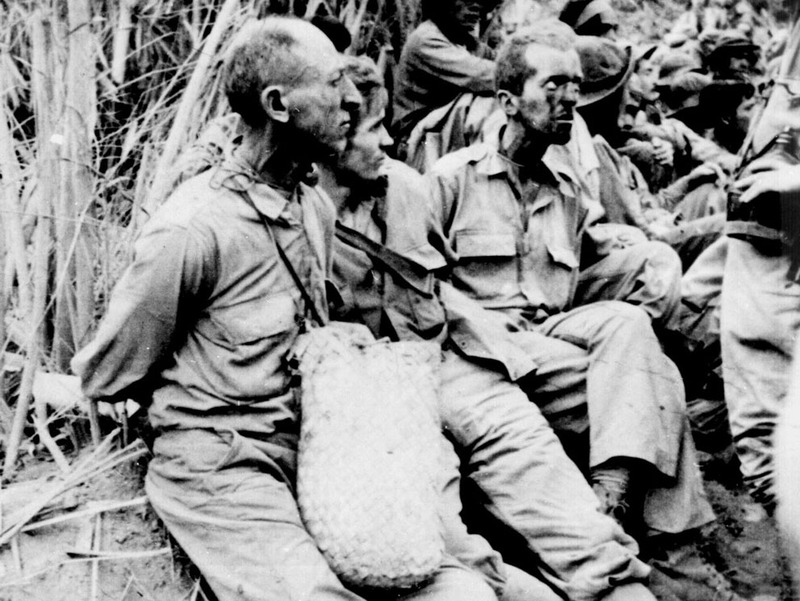 The effectiveness of torture might also have been counterproductive to Japan’s war effort. After the dropping of the atomic bombs on Hiroshima and Nagasaki during World War II, the Japanese military tortured a captured American P-51 fighter pilot named Marcus McDilda in order to discover how many atomic bombs the Allies had and what the future targets were. McDilda, who knew nothing about the atomic bomb nor the Manhattan Project, “confessed” under torture that the U.S. had 100 atomic bombs and that Tokyo and Kyoto were the next targets. 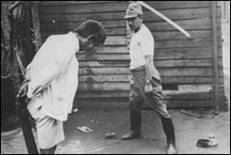 McDilda’s false confession may have swayed the Japanese leaders’ decision to surrender. 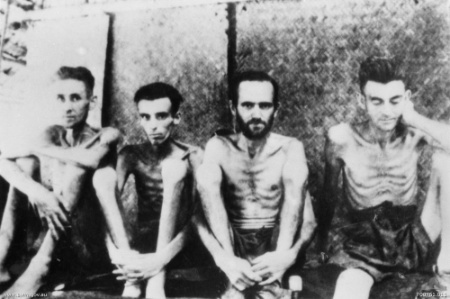 Many Allied airmen captured by the Japanese on land or at sea were executed in accordance with official Japanese policy. During the Battle of Midway in June, 1942, three American airmen who were shot down and landed at sea were spotted and captured by Japanese warships. After brief interrogations, two airmen were killed, their bodies then tied to five-gallon kerosene cans filled with water and dumped overboard from destroyer Makigumo; the third was killed and his body dumped overboard from Arashi. On August 13, 1942, Japan passed the Enemy Airmen’s Act, which stated that Allied pilots who bombed non-military targets in the Pacific Theater and were captured on land or at sea by Japanese forces were subject to trial and punishment despite the absence of any international law containing provisions regarding aerial warfare. This legislation was passed in response to the Doolittle Raid, which occurred on April 18, 1942, in which American B-25 bombers under the command of Lieutenant Colonel James Doolittle bombed Tokyo and other Japanese cities. 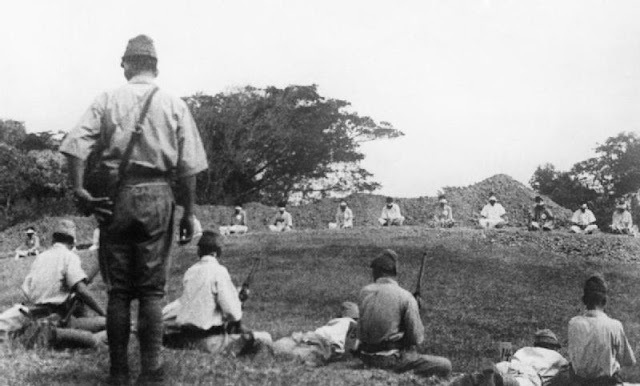 According to the Hague Convention of 1907 (the only convention which Japan had ratified regarding the treatment of prisoners of war), any military personnel captured on land or at sea by enemy troops were to be treated as prisoners of war and not punished for simply being lawful combatants. Eight Doolittle Raiders captured upon landing in China (and unaware of the existence of the Enemy Airmen’s Act) were the first Allied aircrew to be brought before a kangaroo court in Shanghai under the act, charged with alleged (but unproven) strafing of Japanese civilians during the Doolittle Raid. The eight aircrew were forbidden to give any defense and, despite the lack of legitimate evidences, were found guilty of participating in aerial military operations against Japan. Five of the eight sentences were commuted to life imprisonment; the other three airmen were taken to a cemetery outside Shanghai, where they were executed by firing squad on October 14, 1942. The Enemy Airmen’s Act contributed to the deaths of hundreds of Allied airmen throughout the Pacific War. An estimated 132 Allied airmen shot down during the bombing campaign against Japan in 1944–1945 were summarily executed after short kangaroo trials or drumhead courts-martial. 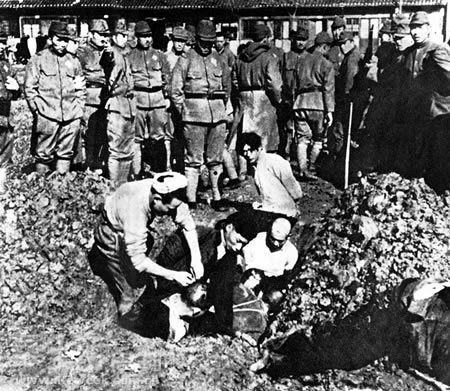 Imperial Japanese military personnel deliberately killed 33 American airmen at Fukuoka, including fifteen who were beheaded shortly after the Japanese Government’s intention to surrender was announced on August 15, 1945. 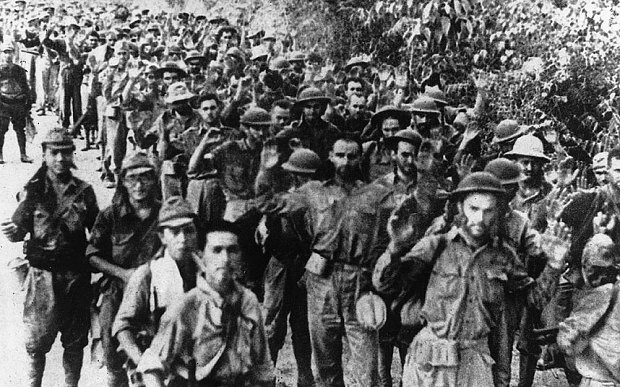 Mobs of civilians also killed several Allied airmen before the Japanese military arrived to take the airmen into custody. Another 94 airmen died from other causes while in Japanese custody, including 52 who were killed when they were deliberately abandoned in a prison during the bombing of Tokyo on May 24–25, 1945. 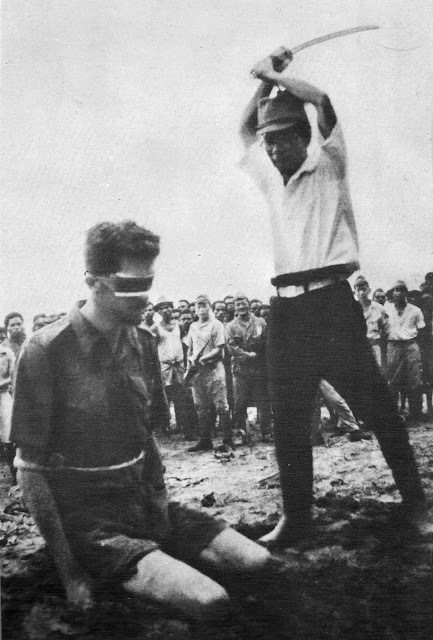 Many written reports and testimonies collected by the Australian War Crimes Section of the Tokyo tribunal, and investigated by prosecutor William Webb (the future Judge-in-Chief), indicate that Japanese personnel in many parts of Asia and the Pacific committed acts of cannibalism against Allied prisoners of war. According to historian Yuki Tanaka: “cannibalism was often a systematic activity conducted by whole squads and under the command of officers”. This frequently involved murder for the purpose of securing bodies. For example, an Indian POW, Havildar Changdi Ram, testified that: “[on November 12, 1944] the Kempeitai beheaded [an Allied] pilot. “… the Japanese started selecting prisoners and every day one prisoner was taken out and killed and eaten by the soldiers. 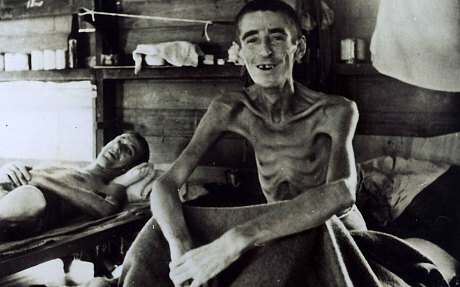 I personally saw this happen and about 100 prisoners were eaten at this place by the Japanese. The remainder of us were taken to another spot 50 miles [80 km] away where 10 prisoners died of sickness. At this place, the Japanese again started selecting prisoners to eat. Perhaps the most senior officer convicted of cannibalism was Lt Gen. Yoshio Tachibana (立花芳夫,Tachibana Yoshio), who with 11 other Japanese personnel was tried in August 1946 in relation to the execution of U.S. Navy airmen, and the cannibalism of at least one of them, during August 1944, on Chichi Jima, in the Bonin Islands. The airmen were beheaded on Tachibana’s orders. Because military and international law did not specifically deal with cannibalism, they were tried for murder and “prevention of honorable burial”. Tachibana was sentenced to death, and hanged.